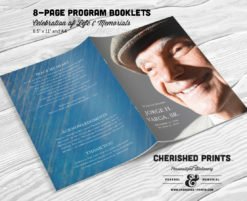 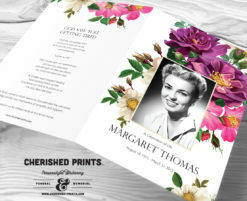 The Beautiful Soft Peonies funeral program, celebration of life program, order of service, memorial program, memorial service is a stunning tribute to your loved one. 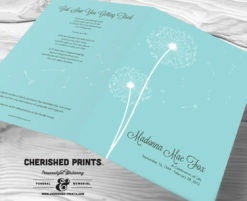 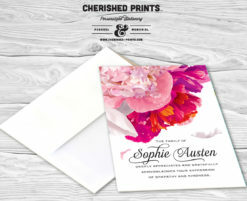 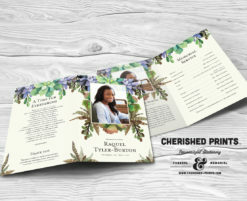 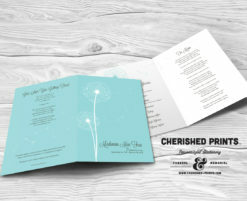 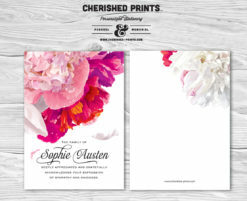 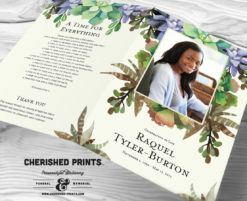 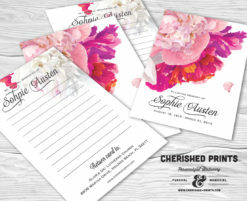 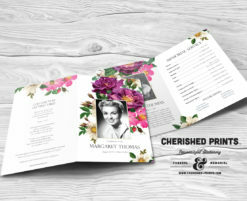 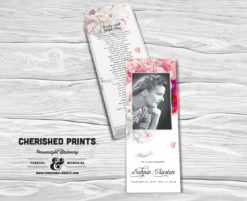 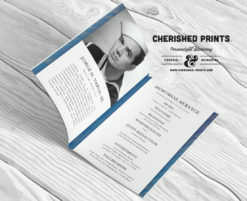 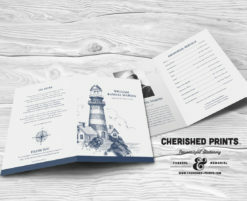 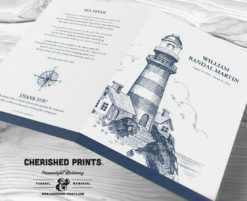 Cherished Prints will customize all designs to incorporate as much or as little content as you need. 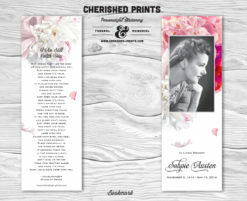 The programs can be fully personalized with your own words, poems, verses, eulogy, service details, and photos in color or black & white — making it a lasting keepsake for those who receive it.